Circa 1940-1944. 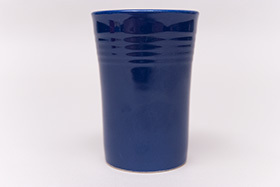 The Vintage Fiesta juice tumbler was part of the first Fiesta pottery promotional campaigns that ran from 1940 until 1944. Less than 20 extra pieces were crafted for inclusion in special promos, and one of the most fun mix-n-match promo pieces was the yellow juice pitcher and six tumbler set. 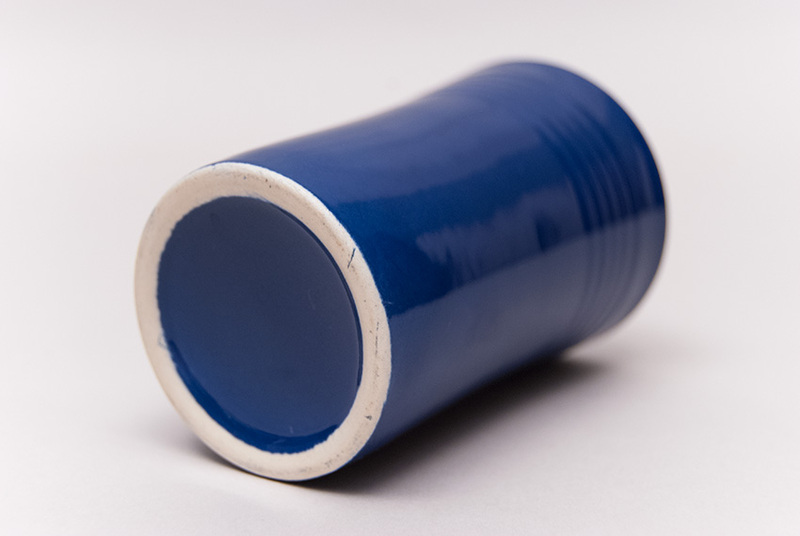 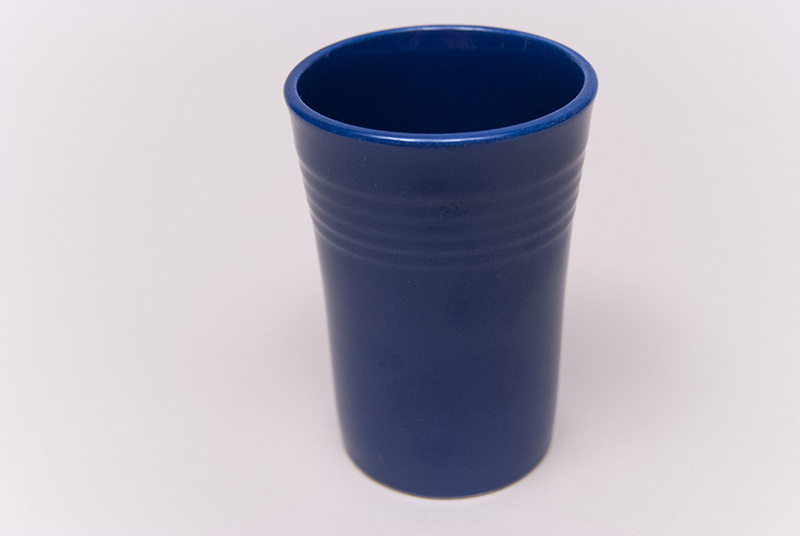 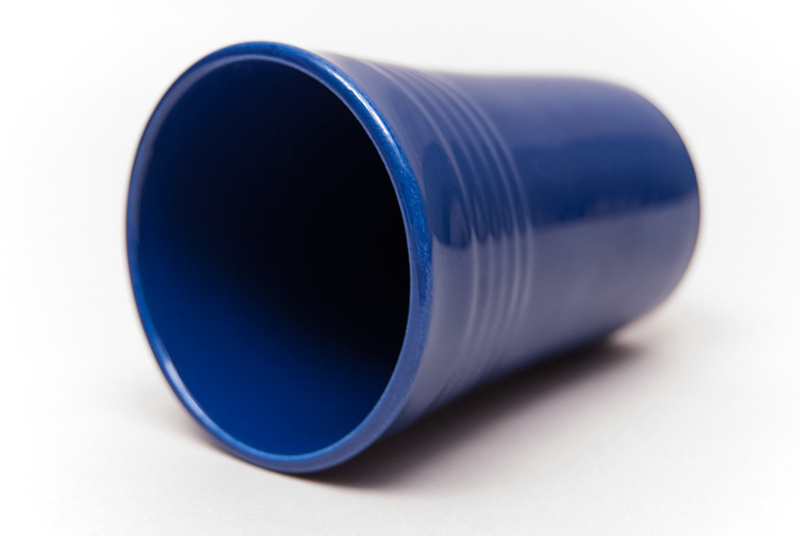 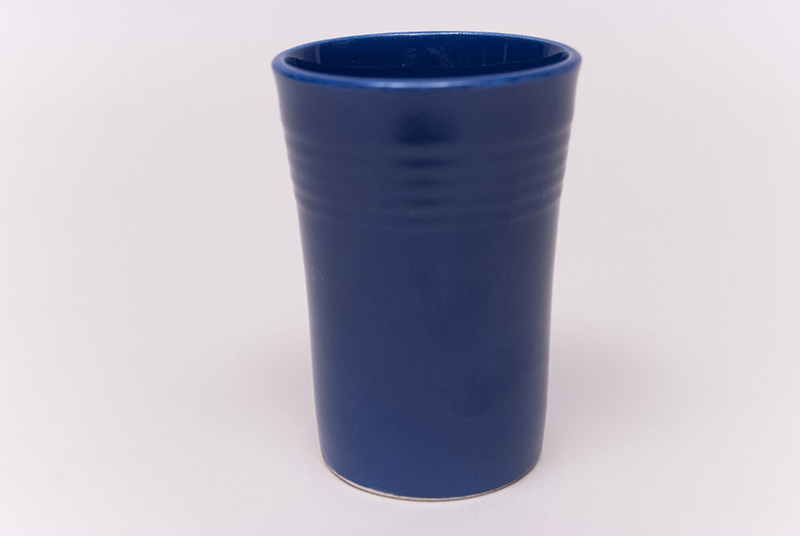 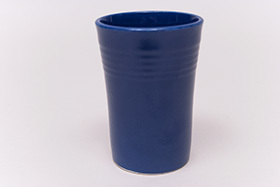 This example of the juice tumble in cobalt, standing about 3 1/2" tall is in excellent shape without any use, scratches, wear or chips or repairs. 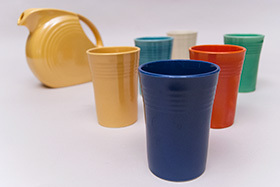 Delightful in their small size the tumbler and pitcher set is a fun and useful addition to the Fiesta collection.